The best in digital HD video transmission is the DJI Lightbridge 2. The best in digital HD video transmission from DJI. DJI's video transmission solution for users that want to keep everything in the DJI family. Earn 109 towards your next purchase with MyRewards. Earn 89 towards your next purchase with MyRewards. Earn 255 towards your next purchase with MyRewards. 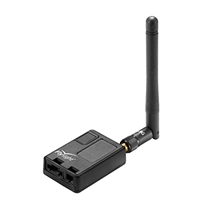 High power video transmitter for long distance fpv applications. 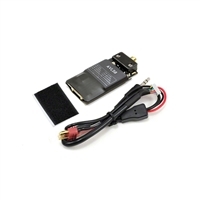 Lightweight and low power video transmitter to keep the pilot in the loop. Enhanced video overlay system for professional-grade drones. Earn 69 towards your next purchase with MyRewards. Earn 68 towards your next purchase with MyRewards. iOSD provides a video overlay of flight information on the pilot's FPV display. Add extra CAN bus ports to your drone to connect more gear. Transmitter only portion of the DJI AVL58 video downlink. Earn 39 towards your next purchase with MyRewards. Earn 29 towards your next purchase with MyRewards. Earn 15 towards your next purchase with MyRewards. 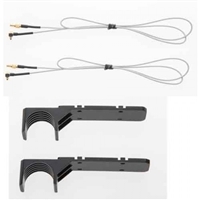 Top quality rhcp cloverleaf antenna set with easy positioning for optimum performance. Corrective lenses for the DJI goggles. Video display mounting kit for RC transmitter with metal bar handle. Earn 9 towards your next purchase with MyRewards.